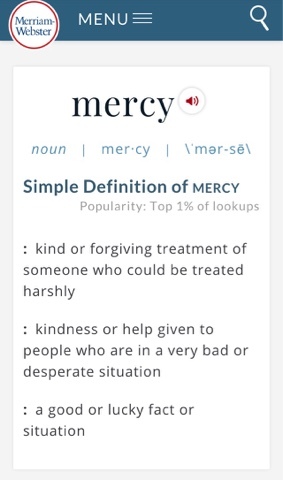 My 2016 Word of the Year will be mercy. I needed a word that would remind me to be gracious when things go wrong. 2016 is the year I will become a mother. It is also the year I am going to again try to get into graduate school. It will be a year of completely uncharted territory for me. I am going to make mistakes. My family and friends are probably going to make me a little crazy. My daughter, like all babies, is going to be incredibly selfish and needy. I don't know what this year will hold. All I know is that it will contain challenges that I really hope I can face with dignity and grace. I am going to have to work on showing mercy. To myself, to my child, to my family, to my co-workers. There is literally no aspect of my life that couldn't benefit from me showing mercy and compassion to others. I want to stop being so self-righteous. I want to give other people the benefit of the doubt. Hubby & I got into an argument yesterday. It was involved some negative assumptions, which all of us are guilty of making sometimes. But I don't want to do that anymore. I want to assume the best of people, not the worst. This year is probably going to be really hard. It's also hopefully going to be incredibly rewarding. My goal is to approach theses challenges and show mercy both to myself and others during these tough times. Hopefully this small (but difficult) change within myself will inspire others and improve my relationships as well as overall mentality. I cannot even believe that I am even talking about 2016. That seems ridiculous for some reason. I figured I would get down and dirty on my reading goals for the upcoming year. I’ve loved making reading a priority in my life again, and while I know this baby coming could make it harder in the next year I also know I know I could have pushed myself harder this year. 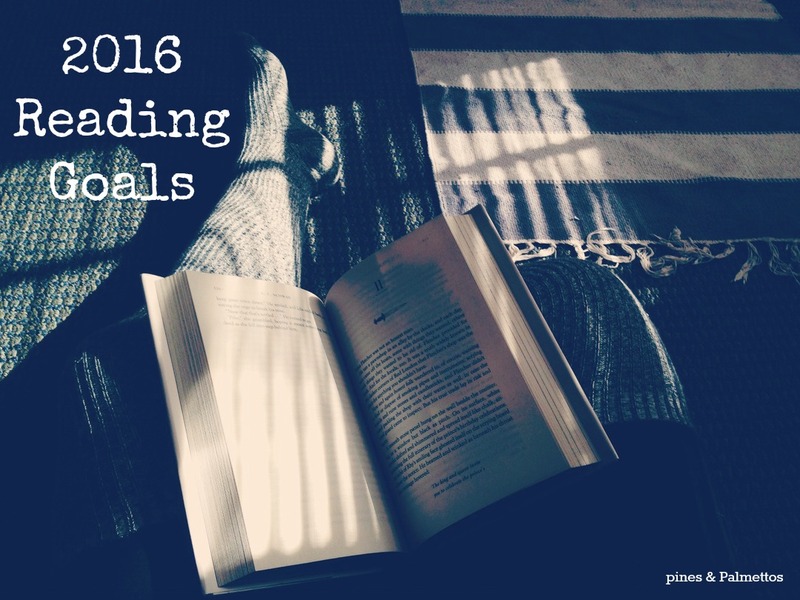 My first and foremost goal is to read everything on my TBR. I don’t mean a Goodreads shelf, I mean my real life actual section of bookshelf that holds my unread books (the majority of my bookshelf is books I have read and just can’t part with- or my husband’s books). This is proving a little harder than I expected…for one, there is a reason I’ve been putting these books off. Some of these are books that I’ve started and just couldn’t get into. Some are books I feel like I shouldread but am not naturally attracted to. Also, pregnancy hormones are no joke (I started a book that contained a miscarriage and just had to stop). But that's my number one reading goal. 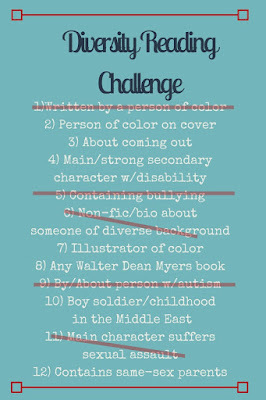 Second, I want to finish my diversity reading project. I’m disappointed in myself for how long this is taking. My original picture for it said 2015, but that’s not happening. Part of this is because the topics can be kind of heavy so I have to space them apart, but mostly I’m just a slacker. With maybe one exception I’ve really loved the books I’ve read for this project, so there’s no excuse for why it’s not already completed. 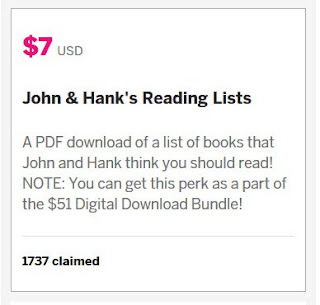 Third, I want to read Hank and John Green’s suggested books. This is the first perk I bought for this year’s Project for Awesome. I’m not sure how many books will be on the lists, so I won’t commit to finishing them. 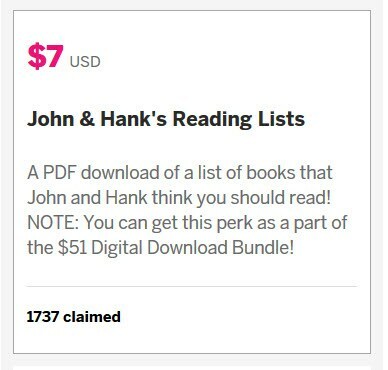 For some reason I feel like John said maybe 25 from him & 25 from Hank? So I probably wouldn’t be able to finish that, but maybe a quarter of the total list (so at least 12?). My 2015 goal as far as numbers alone go was 24. I am hoping to finish that out at 35! So exciting to not only reach but surpass that number. I have to admit, my Audible subscription has helps out with this a LOT. I love being able to listen to books while I am at work or cooking dinner. Seeing as how 2016 is going to be my first year as a mom, I’m not sure what that will do to my reading time. 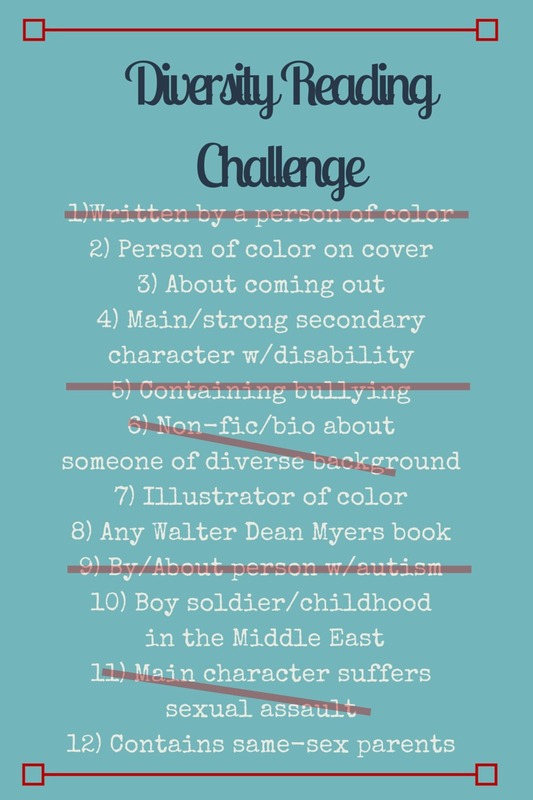 But I am going to be optimistic and set my goal for 30 books, which is about 2.5 books a month. Another reading-related goal is to clean up my Goodreads account. My TBR shelf is so out dated (and I feel better since Kirsti has absolved me of guilt regarding deleting books from that list in this video). Plus I really need to get better about listing when I finish books, so I have an accurate timeline. This helps with my yearly count and also helps me keep track for the monthly Show Us Your Books link-ups. Do you have any riding goals for the upcoming year?